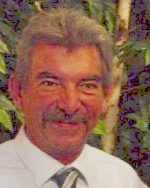 Vincent Lammert, 60, of Fairview Heights, IL, born March 3, 1959, in St. Louis, died Saturday, April 6, 2019, at his residence. Vincent was a third-generation fireman with the St. Louis Fire Department. He currently was employed at Chelar Tool & Die, Belleville, IL. He was preceded in death by his mother, Mary S., nee Stuckel, Lammert. Memorials may be made to BackStoppers. Condolences may be expressed to the family online at www.rennerfh.com. Visitation: Friends may visit from 4 to 7 p.m. Thursday, April 11, 2019, at George Renner & Sons Funeral Home, Belleville, IL. Funeral: Funeral services will be held at 7 p.m. Thursday, April 11, 2019, at George Renner & Sons Funeral Home, Belleville, IL, with Dr. Joe Scheets officiating. Burial be at Valhalla Gardens of Memory, Belleville, IL, at a later date. Greg, Stephanie and family..... so sorry to hear of your loss! God’s comfort and peace to you all. Donna, you have my heartfelt sympathy in the loss of your beloved husband, Vince. I was glad I had the opportunity to get to know him. He was a wonderful person. My thoughts and prayers are with you during this difficult time. Love and hugs. so sorry to hear about your loss. prayers with you, may he Rest In Peace. Donna I am so very sorry for your loss. I never met Vincent but through all you told me I know he loved you and your family dearly. You were so blessed to have each other. He has only left you for awhile. He will always be in your heart. Helen and family: I am so sorry for your loss. May God hold Vince in the palm of His hand. Donna, Kim, Jennifer and family I cannot express our sadness for all of you and for losing such a wonderful man. We truly loved Vince, as so many did. Our lives were richer by knowing him and we were proud to call him our friend. I pray God gives you the strength needed in the days to come. We love you all.